Every year, thousands of performers and staff members arrive in Edinburgh and they all need somewhere to stay – this is where you can help by providing a room for a night, a week or for a month for our eclectic bunch of visitors to Edinburgh, some famous others fresh-faced and ready to make a name for themselves! Be part of the biggest arts festival in the world this year and be a property host! 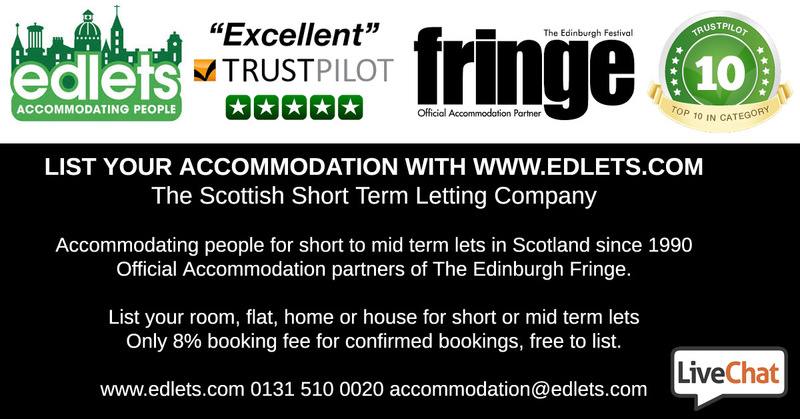 Edlets are THE Edinburgh accommodation specialists, the main accommodation booking platform for performers in the Fringe and are a mix of Edinburgh locals and Edinburgh based staff members with an intimate and first-hand knowledge of the Fringe. We match visitors’ budgets and requirements to rooms and other accommodation that are suitable and have a simply massive database of Fringe performers that book with us every year, we have been accommodating Edinburgh International and Fringe Festival cast and crew for nearly 20 years. Edlets work with all manner of visitors to the Festival – production companies large and small, groups of performers, individuals and university / school parties coming to Edinburgh – we work closely with guest and hosts to find the perfect match and have a team of Edinburgh locals matching performers to rooms and accommodation that matches their budget. 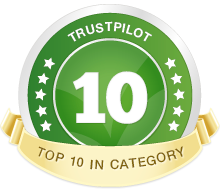 With 19 years experience, we are a trusted Scottish company based in Edinburgh and are voted within the top 10 vacation holiday rental company in Europe via Trustpilot with over 850 reviews so far. Please do join our community of 2500 Edinburgh hosts with a special discounted rate of 8% plus VAT for new hosts (please quote the promotional code FRINGEPROMO) – how does this compare to others? Edlets offer the cheapest rates online!